The Ravens Club is running a special promotion today. 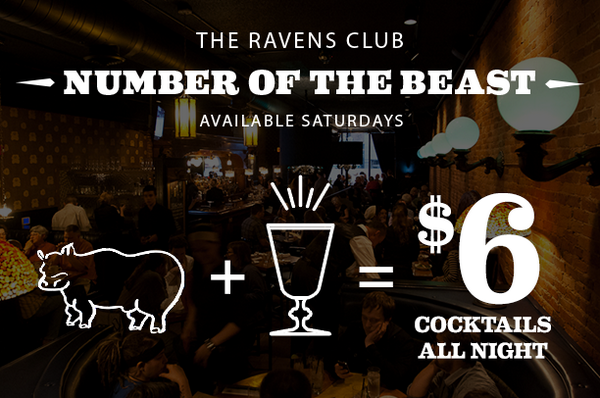 If you order 1 of 6 different meat (beast) based entrees, you can then order 1 or 6 different cocktails for just $6. Clearly Revelation 13:18 was written to inform readers of a future where they could order discounted craft cocktails paired with meaty entrees. Gentle readers, that future has arrived.